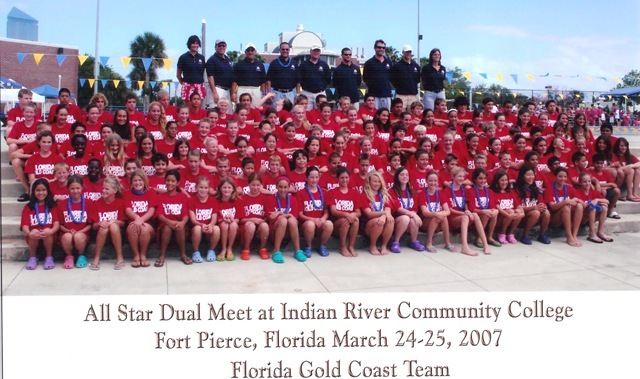 Congratulations to Andrea Vellejo, Nico Medina, Kelsey and Lindsay Schultz of Team Weston for making the Florida Gold Coast All Star Squad….Hope you all have good swims, Below is a photo of last years team. I hope you have as much fun as they did last year, it was a great meet….GO GOLD!!!! !